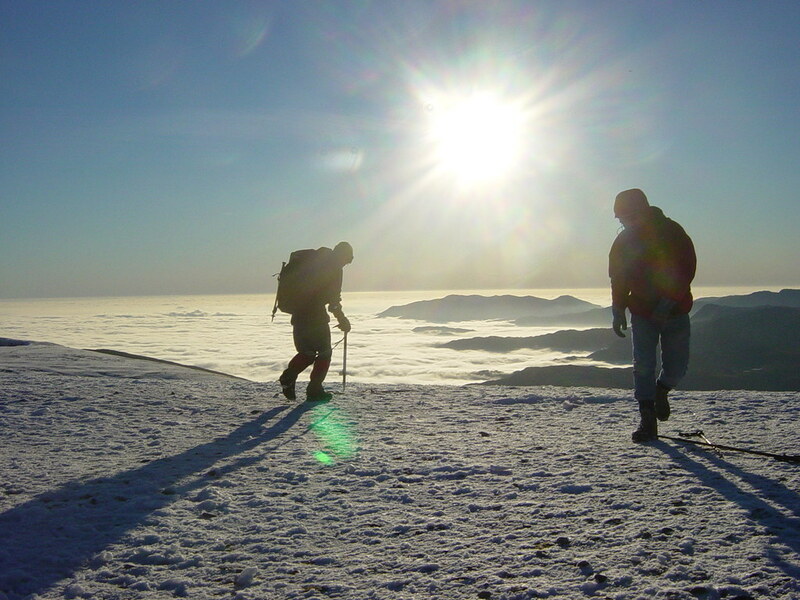 The Lake District is home to England’s 10 highest mountains. Combine this fact with vistas that take in pristine countryside and endless lakes, and it’s easy to see why Lake District climbing holidays are so popular. Here, we share five Lake District mountains that should be on everyone’s bucket list, all of which are within easy reach of Skelwith Fold. Whether you’re an experienced climber planning a Lake District climbing holiday, or a hill walker looking for a challenge, you’ll find yourself spoilt for choice when you stay at Skelwith Fold. Caption: View of the Langdale Pikes from Windermere. Credit: Richard Walker. 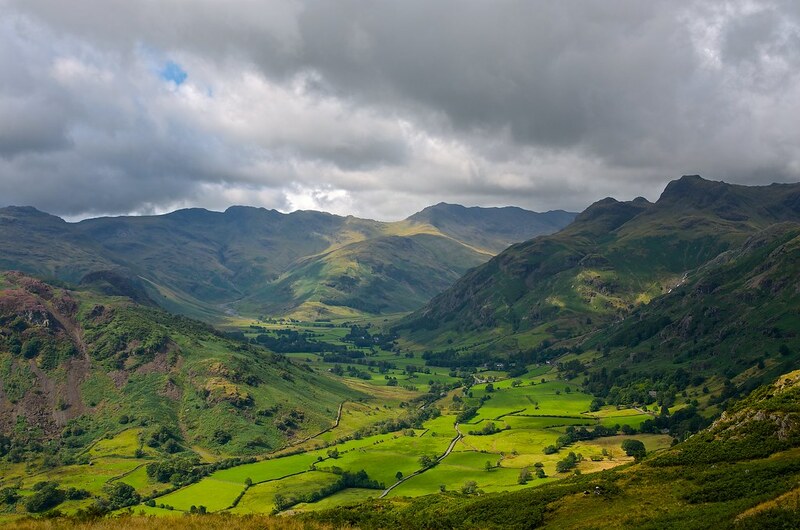 Great Langdale lies just four miles from Skelwith Fold, and is home to the arresting Langdale Pikes – a cluster of mountain peaks that appear from below to be one long, rocky ridge. Climbers are treated to views that stretch from Langdale Valley to Windermere, and which include Bowfell, the Crinkles and the Coniston Old Man. Most climbers start their hike from Great Langdale, from which they can tackle the first peak, the Pike of Stickle. After this, they can make their way from west to east over the remaining peaks, which include Loft Crag, Harrison Stickle and Pavey Ark. Caption: View of Great Langdale from Blea Rigg. Credit: Rum Bucolic Ape. High Raise is the most central mountain in the Lake District, and the highest point in the Central Fells. 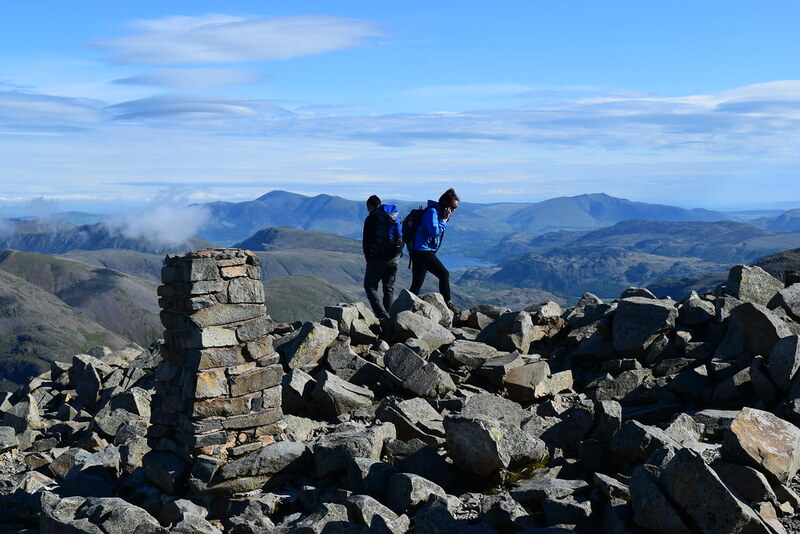 As such, climbers will find themselves rewarded with a stunning panoramic views that take in Skiddaw, Helvellyn, the Scafells, Morecombe Bay and even Yorkshire’s Three Peaks. Situated less than 10 miles from Skelwith Fold, climbers can begin their ascent of High Raise from nearby Borrowdale, Great Langdale or Thirlmere. However, we’d particularly recommend the Grasmere ascent, which takes in Sour Milk Gill, Easedale Tarn, Blea Rigg and Sergeant Man before reaching the High Raise summit at Low White Stones. 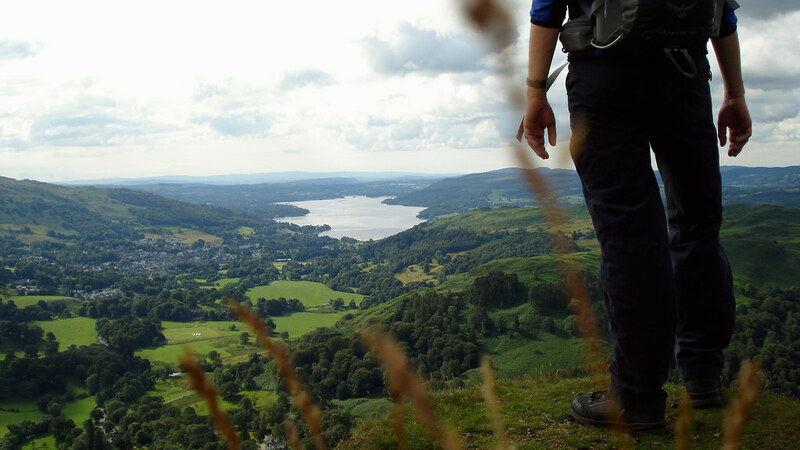 Caption: A climber stops to admire Windermere while hiking the Fairfield Horseshoe. Credit: Peer Lawther. Fairfield is the highest mountain in the Eastern Fells, with a rough, stony summit where cairns can be spotted poking through in the mist. Climbers can enjoy views of all the major fell groups from here, as well as Ambleside, Rydal, Windermere and Coniston Water. The majority of climbers tackle Fairfield as part of the eponymous Fairfield Horseshoe – a circular hillwalking ridge walk that you can start and finish in Ambleside, and which we featured in our previous post ‘5 Lake District Walks to Enjoy Near Skelwith Fold’. Credit: Climbers take in the view from the snowy Helvellyn summit. Credit: Matthew. Helvellyn is the third highest mountain in England, and is easier to access than its two taller brethren. As one might expect, the ascent is challenging, but climbers who reach the summit are rewarded with extensive views that span the Lake District and even reach as far away as Scotland and Wales. There are many ways to ascend Helvellyn, but one of the most popular is via Striding Edge, which is commonly regarded as one of the best ridge walks in Britain. You can access the pass from Hole-in-the-Wall, which is a 45-minute drive from Skelwith Fold. Caption: Climbers at the Scafell Pike summit. Credit: John Ireland. For a climb that literally cannot be topped, it has to be Scafell Pike – England’s tallest mountain. Standing at 3,209 ft above sea level, the summit is the highest ground for over 90 miles, ensuring stunning 360 degree views as far as the eyes can see. There are several different ascent routes up Scafell Pike, with most climbers opting to depart from Wasdale. However, we’d recommend taking the more scenic and less crowded route from Borrowdale, which is just a one-hour drive from Skelwith Fold. We hope this post leaves you with plenty of food for thought when it comes to planning your own Lake District climbing holiday. And, if these peaks look a little too steep for you, don’t worry – there are Lake District walks suitable for all ages and abilities. What do you think of these Lake District mountains – do you agree with our list, or did we miss out a deserving peak? Let us know on Facebook or Twitter.